Discipline … Being able to follow as well as lead, knowing that we must master ourselves before we can master our task. Competence … There being no substitute for total preparation and complete dedication, for flight will not tolerate the careless or indifferent. Confidence … Believing in ourselves as well as others, knowing that we must master fear and hesitation before we can succeed. Responsibility … Realizing that it cannot be shifted to others, for it belongs to each of us; we must answer for what we do or fail to do. Toughness … Taking a stand when we must; and to try again and again, even if it means following a more difficult path. Teamwork … Respecting and using the ability of others. realizing that we work toward a common goal, for success depends on the efforts of all. 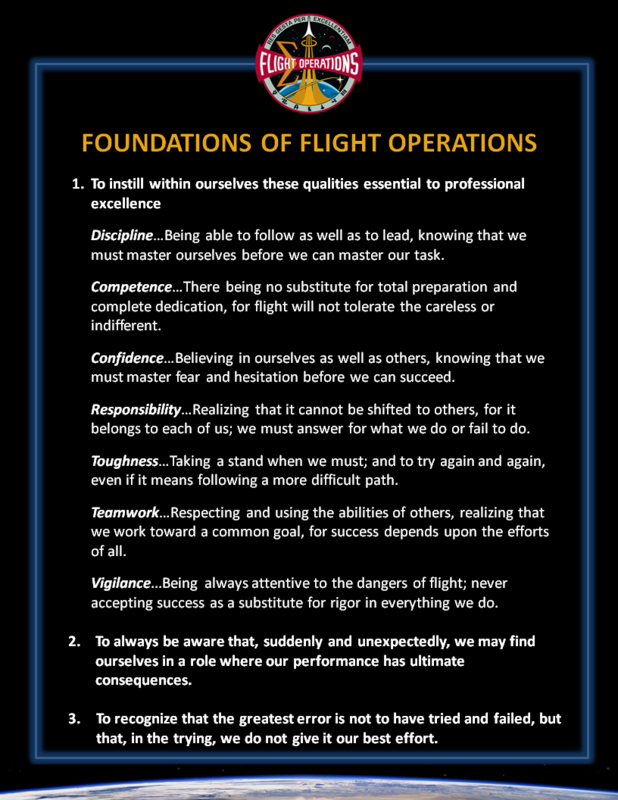 Vigilance … Being always attentive to the dangers of flight; never accepting success as a substitute for rigor in everything we do. 2. To always be aware that, suddenly and unexpectedly, we may find ourselves in a role where our performance has the ultimate consequences. 3. To recognize that the greatest error is not to have tried and failed, but that, in the trying, we do not give it our best effort. 8 weeks down, 8 weeks to go. I’ve done some incredible things already and met and bonded with some incredible people! I can’t wait to see what the next 8 weeks hold, and then what comes next.